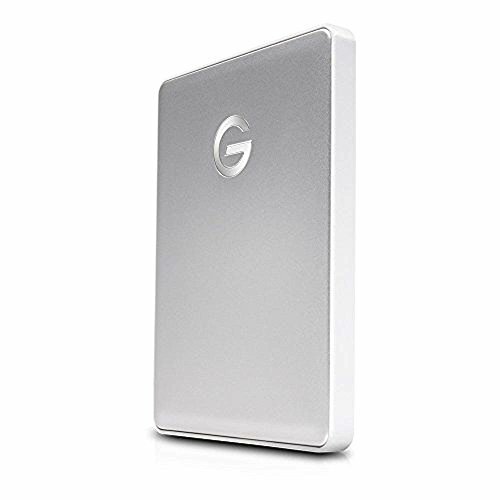 Featuring a plug-and-play USB-C port and transfer speeds up to 140MB/s**, the G-DRIVE mobile USB-C drive offers portable storage in a stylish, aluminum design to complement your computer. And with up to 2TB* of storage, you're instantly ready to back up your favorite videos, photos, music and documents, wherever you go. | *As used for storage capacity, one terabyte (TB) = one trillion bytes. Total accessible capacity varies depending on operating environment. **Based on read speed. As used for transfer rate or interface, megabyte per second (MB/s) = one million bytes per second. Performance will vary depending on your hardware and software components and configurations.